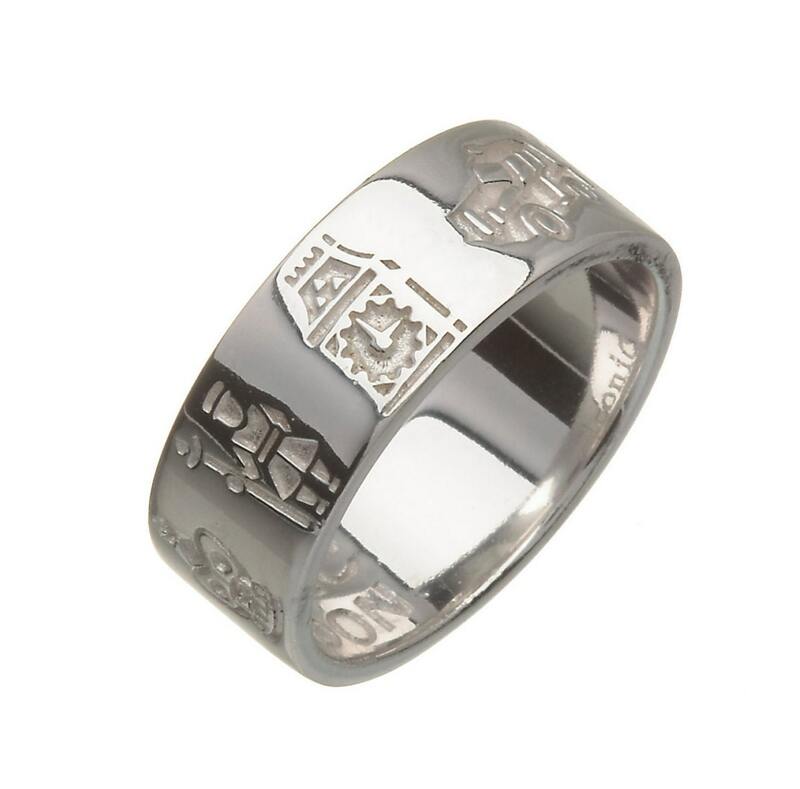 This beautiful ring depicts many of the famous iconic images of London. Iconic Jewellery offers a stylish and creative way of celebrating London in style. Whether it's where we first fell in love, met our long lost cousins or got our first pay cheque! In these days of travel and emigration it is important to remember our roots and the places that have formed who we are today. The collection is designed with striking icons capturing the essence of London. 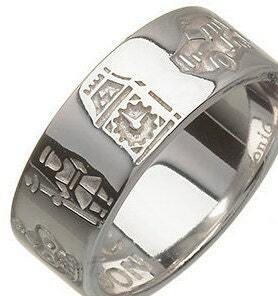 Ring measures 6mm in width and comes gift boxed with a story card explaining each symbol.